What better way to gain valuable experience promoting growth of a storefront website than to create an online dog treat subscription business? 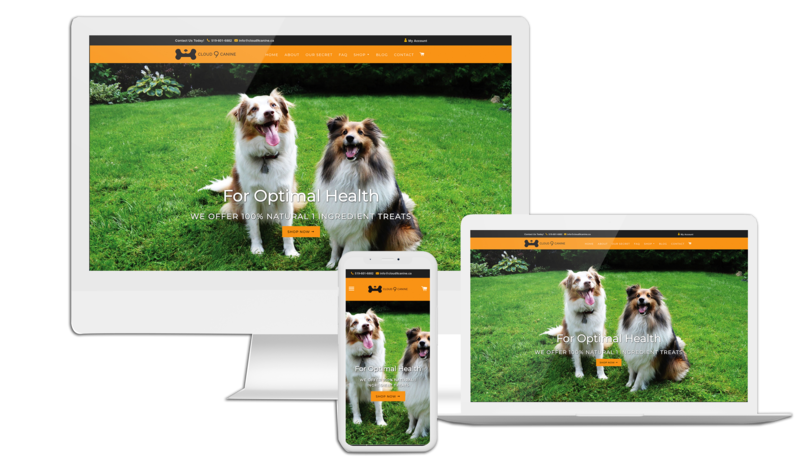 In 2017, Response designed a website for the Watson Family to sell all natural dog treats using Shopify shopping cart and carefully selected popular dog treats from a local producer. Named after a cartoon character named Snuffles who would bound into “heaven” whenever he was given a doggie treat, Cloud 9 Canine is the interpretation of how dogs experience rewards. “Cloud 9 Canine has been a great learning experience for Response staff to make subtle tweaks to the shopping cart offers that drive orders. Churn is low and margins are stable in this billion-dollar pet food marketplace”, states Karen Watson, the Lead on development at Cloud 9 Canine.